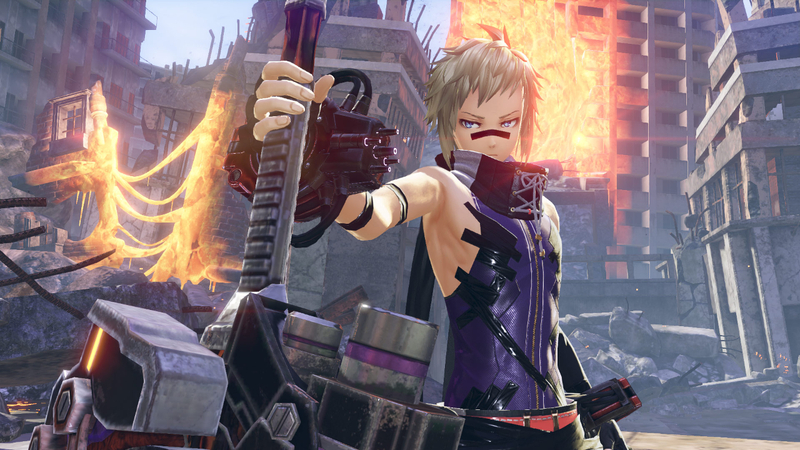 God Eater is a series built for a single reason. Fight big monsters, on the go, with anime aesthetics and a nice story to tie it all together. It’s pure and simple. You get to create a character, arm yourself with some weapons bigger than yourself, and just test it all against the world. Isn’t that great? Well, what’s not so great is the world being in disrepair. You are a God Eater, a unique being born with the power to ingest the Aragami, a vicious race that is plaguing the planet and threatening the whole race with extinction. While the story of your God Eater party starts in a jail cell, only being let free to destroy monsters, you quickly find a better place for your crew aboard a large armoured ship. God Eater has always faced a challenge though, and that challenge is called Monster Hunter. The premise of fighting big monsters, on the go, is literally Monster Hunter’s domain, especially in Japan. God Eater 3 needs to offer a reason that gamers should go to God Eater rather than the other big series about hunting big monsters. And it has some legitimate reasons to bring players over. The story is more personal and interesting than what you commonly find in Monster Hunter games, for a start. God Eater 3 follows your created protagonist, leaving their jail cell behind, and acting as security – and driver – of the large transport ship. Eventually, you will meet a child who is deemed to be one of the only ways to save humanity and wipe out the powerful Aragami which are forming. It’s a much more intense story that drives the player forward. In addition to that, combat here is faster and is another factor that has its anime inspirations. Characters can jump and dash past enemies in large strides, with equally large weapons, dealing out massive damage incredibly quickly. Couple that with some big and flashy attacks and, yep, you’ve got some anime aesthetics alright. Did I mention your weapon also transforms into a gun? Yeah, that’ll deal with those pesky flying enemies nicely, alongside a massive shield bash which leaps massive distances for only a little bit of stamina. And of course, it only gets better with friends. 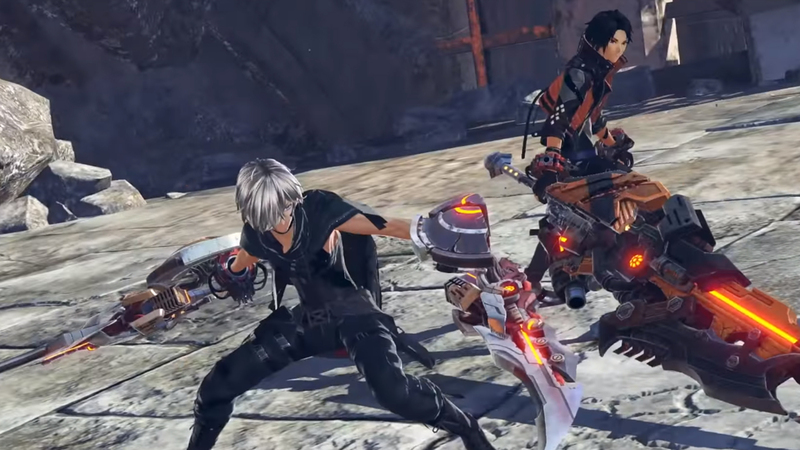 Just like Monster Hunter, God Eater 3 encourages you to take multiple friends into battle with you to fight with. Multiplayer here is great when you get it going, but waiting for players to set up missions and ready up for the games ahead can be somewhat tedious with random people. You’ll get CPU allies to go in with if you decide not to matchmake, which is often just the easiest way to play. Although dashing around ferocious and creative monsters is fun, it feels a bit loose. Your strikes don’t offer enough feedback. Light vibrations and repetitive slashing sounds assure you that, yes, you’re doing something, but it doesn’t feel quite as intense or visceral as a game with an emphasis on combat should be. Characters feel light on the ground and a bit floaty, which means you strikes don’t feel like they have a significant impact. As a result, dozens of slashes feel like little damage, and it came as a shock to me when enemies actually went down. What’s also odd is that this is the first God Eater game to not be released on a handheld console. There’s been a graphical bump here, certainly, but the environments still feel like those of a game that’s been designed with weaker hardware in mind first. It just looks a bit bland up close, while when the camera is zoomed out, the areas can look very inviting. I have some minor complaints, yes, but the only thing that truly frustrated me while playing God Eater 3 was going through the long process of having to unlock and equip skills to each of my party members, give them the best gear, make sure they’re all in order… It feels so lengthy, unnecessarily so, and can have you staring at esoteric menus for half an hour at a time. Oh, and in between missions sometimes you’ll just have to talk to NPCs aboard the ship, hidden in a variety of rooms, before you can continue the story. That’s just kind of annoying.